Can you believe this book is over 10 years old? 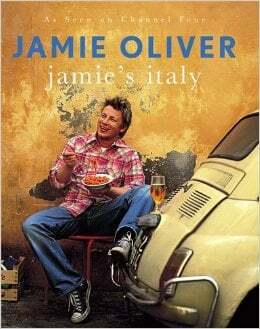 Jamie’s Italy was published in 2005 and is based on a tour of Italy Jamie took when he turned 30 years old. Travelling from the top to the toe of Italy in a camper van, Jamie stopped and cooked his way across Italy, staying with locals and trying regional specialities as he went. The dishes he tried formed the basis of this cookbook. Non-fussy, flavoursome authentic recipes still continue to inspire Jamie today. This book really propelled his career forward, into the dizzying heights of celebrity chef stardom. 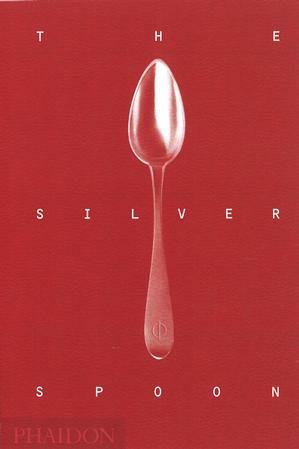 First published in 1950, ‘Il cucchiaio d’argento’ (The Silver Spoon) has become the most successful cookbook in Italy. Experts were commissioned to collect hundreds of traditional recipes from top to toe, including every regional speciality. From its first appearance, the book immediately made its mark on the world of gastronomy and has been constantly updated ever since. The various editions have adapted the recipes and techniques to suit our modern lifestyle without losing the principles of its authentic Italian origins. No Italian cookbook collection should be complete without this book. We came across some helpful hints on how to navigate your way through this mammoth cookbook. Marcella Hazan was widely regarded as one of the greatest Italian cookery writers in the world and The Essentials of Classic Italian Cooking was her masterpiece. Aimed at cooks of every level, be they beginners to accomplished chefs, it is an accessible and comprehensive guide to authentic Italian cuisine. Marcella was born in the village of Cesenatico, Italy, and emigrated to America after she got married. She enjoyed a long career sharing her knowledge of Italian cuisine and died in 2013. This book should form the basis of any kitchen library of anyone who is passionate about good food. It is hard to pick out a favourite cookbook of Antonio Carluccio, but luckily he published a collection of his best recipes spanning a 40-year career in the industry. Known as the ‘Godfather’ of Italian cooking, Antonio Carluccio has brought together over 300 of his best recipes to form this ultimate compilation. Capturing Antonio’s simple, joyful and no-fuss approach to cooking, this comprehensive book provides a unique culinary journey. Featuring dishes from each of Italy’s distinct regions, all aspects of the Italian meal are covered from antipasti, pasta, risotto to meat, fish, dolci and much more. 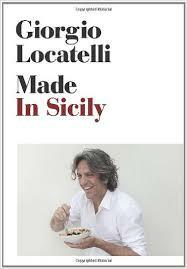 This book is the follow-up to ‘Made in Italy’, with recipes exploring the rich ingredients of Sicily. What makes Sicilian food unique derives from the history of the island itself and the recipes in this book reflect this rich culinary history. This book is full of regional recipes ranging from insalata di rinforzo, a famous island salad made with cauliflower, to four kinds of caponata, pasta with anchovies and breadcrumbs, Sicilian couscous, and the celebrated dessert, cassata. Francesco was co-owner and chef patron of award-winning L’Anima in the City of London, but now is head chef at Sartoria in Mayfair. His first book, Mezzogiorno celebrates the food of his home region, Calabria. Mazzei is a long time supporter of southern Italian food. His part of the world is noted for producing nduja -a spicy, spreadable pork sausage. Francesco regularly goes back to Italy to seek out new and authentic products. He joined forces with Pizza Express to launch their spiciest pizza ‘The Calabrese.’ Subsequently, Pizza Express now source their salami from Calabria which has boosted jobs in the region. Some of his iconic southern Italian dishes can be found here. Starting a restaurant during a recession is hard, but Russell Norman had queues around the block when he opened Polpo in London’s Soho. After a trip to Venice in his youth, Russell decided to open a restaurant styled on the small, bacari wine bars you find in Venice. The menu serves small dishes you would typically find in Venice. These dishes are known as cicchetti in Italian – think Italian tapas. The book is full of wonderful tasty treats from zucchini shoestring fries, asparagus with Parmesan to Linguine with clams, whole sea bream, warm octopus salad, soft-shell crab in Parmesan batter with fennel salad. If you think you know everything about Italian food, this book might change your mind.